Harry Gutkin and Mildred Gutkin, Profiles in Dissent: The Shaping of Radical Thought in the Canadian West. Edmonton: Newest Publishers Limited, 1997. ISBN 1-896-300081. $24.95. Profiles in Dissent does not examine the broad range of radical thought in western Canada. A searching examination of the lineage of western Canadian radicalism— labour, agrarian, and otherwise—is simply beyond the scope of this book. Rather, this book contains a sympathetic reading of the social and political ideals and an evocative description of the public careers of ten men and one woman who were catapulted into national attention through their involvement in the Winnipeg General Strike. This book is dedicated to the proposition that those who championed the cause of labour during the remarkable spring of 1919 and the ideas they advanced deserve to be remembered. Profiles in Dissent is fluently written and full of interesting detail. Fred Dixon, William Ivens, Bill Pritchard, R. B. Russell, George Armstrong, Roger Bray, Richard Johns, Helen Armstrong, J. S. Woodsworth, A. A. Heaps, and John Queen are the principal subjects of the ten chapters in this book. Yet the Gutkins bring a range of additional figures including parents, spouses, children, and significant others - mostly intellectual—of the protagonists of Profiles in Dissent into focus. These are all compelling stories of intellectual commitment, personal agency, family tragedy, and struggle. The chapter dealing with the remarkable Helen Armstrong provides a commendable discussion of the feminist movement in Winnipeg in the years prior to 1919. For most, and particularly R. B. Russell, Bill Pritchard, Richard Johns, Roger Bray, George and Helen Armstrong, the Winnipeg Strike marked the summit of their popular influence—everything after was denouement and anticlimax. For others, including J. S. Woodsworth, John Queen, Fred Dixon, and A. 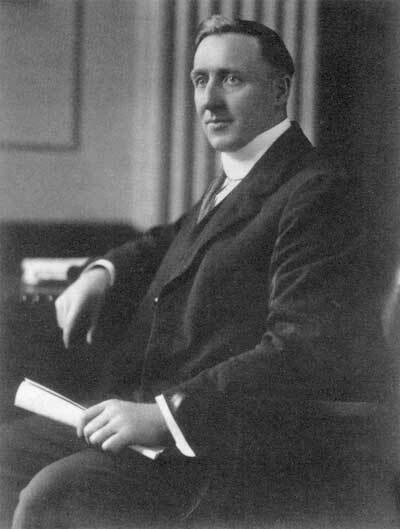 A. Heaps, martyrdom in 1919 served as a springboard to success in electoral politics—municipal, provincial and federal—in the wake of the strike. The authors of Profile in Dissent provide an appreciation, as opposed to a critique, of the intellectual and personal trajectories of these men and women made prominent by their involvement in the maelstrom of 1919. Unfortunately, Profiles of Dissent contains no footnotes so it is impossible to searchout the primary sources upon which these accounts are based. While the authors can be commended for writing a book that is both informative and a pleasure to read, Profiles in Dissent too frequently offers facile commentary when trenchant analysis is in order. The commentary that follows is not designed to dismiss what is a fine book, but rather to suggest some limitations in an otherwise commendable publication. The social gospel, that inchoate body of social and mortal ethics advanced as the teaching of Christ by William Ivens and others, was a central theme in western radicalism urban and rural. Why Methodists—William Ivens and J. S. Woodsworth are two prime examples—appear to have been worst bitten by this gospel of social reform than other evangelical Christians is not considered. Nor do the Gutkins respond to the argument advanced by some that social gospellers like Ivens and Woodsworth were simply secular social reformers having drifted far from their erstwhile religious and theological moorings. The authors of Profiles in Dissent approach this complex terrain with generalities. Each in its sphere hath played its part. And truth had conquered over might. Ivens sought martyrdom and achieved his apotheosis as a rebel against society thrown out of the Methodist Church and convicted of seditious conspiracy. His subsequent career as a provincial politician was pedestrian by comparison. Profiles in Dissent provides a compelling account of Fred Dixon’s tragic personal life and his remarkable public career. Greater analytical concern with historical context and Dixon’s radical discourse would have disclosed the reasons for the popularity of the man and his ideas. The Great War was an event unprecedented in its capacity to draw entire societies into the grasp of Armageddon. In so doing, it triggered a widespread crisis of citizenship that deepened as the carnage continued. The relentless demands of a war of attrition drove participants to impose unprecedented sacrifice on their citizenry; inevitably idioms of citizenship rooted invarious discourses of communitarianism emerged as models for a post-war Canada. Dixon’s public career was rooted in his remarkable capacity to evoke the deep discontent that existed among working class and reform minded Canadians as the war proceeded. He spoke directly to this crisis of citizenship in a vocabulary evoking a moral economy rooted in communitarianism and social justice. Dixon demanded “... that the sacrifice of life which is now being made by the manhood of the nation must in some measure be matched by the sacrifice of wealth ...” He excoriated those responsible for injustice: “My blood boils when I think that returned soldiers, who have defended all the land in Canada, are offered as their share of it the leavings of the land grabbers.” His neo-liberal project of fashioning a social citizenship in a reconstructed Canada was evident in comments made by him shortly after his acquittal: “a new Canada in which manhood shall be more regarded than money, in which liberty will be more regarded than property, in which labour shall receive the full product of his toil ...” Dixon would have been outraged to discover that a quarter of a million dollars set aside by Parliament to fund the Soldiers’ Resettlement program was reassigned without parliamentary authority for the purpose of prosecuting him and other strike leaders when the Province of Manitoba, constitutionally responsible for prosecutions, refused to proceed with trials of Dixon and the others under the criminal code. Similar opportunities for historical analysis and contextualization are missed in the treatment of R. B. Russell. No other figure compared with Russell’s importance as a labour militant in 1919. 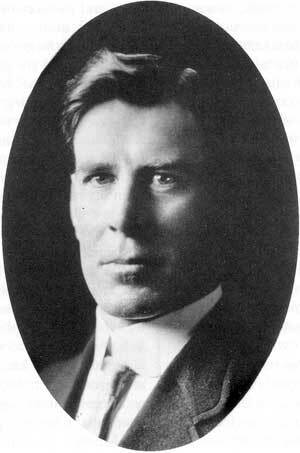 Russell was a central figure of the Socialist Party of Canada and an advocate of the OBU. He was principally responsible for ensuring that radicals were selected by local labour councils in Manitoba to attend the Calgary Conference of labour. Yet, Profiles in Dissent provides no exploration of the intellectual relationship between the OBU and the Marxism of the SPC and of both to the Winnipeg strike. The preamble to the constitution of the OBU is quoted at length, yet no analysis of this discourse is attempted to place the radicalism of the OBU within history. Evidently the authors of Profiles in Dissent did not consult Gerald Friesen’s published work (none of Friesen’s publications are referenced in the list of “Further Reading”) on these questions. Profiles in Dissent provides an extended and very useful description of the trials of Russell and the other strike leaders. It is clear that the Gutkins share Fred Dixon’s assessment these trials were a travesty of British justice. Yet, the basis for their outrage would have been more evident to their readers if Profiles in Dissent had come to terms with what Russell and the others were actually prosecuted for beyond reference to the general matter of “seditious conspiracy.” Indeed, a central issue in the trials concerned how one defined sedition. The Criminal Code provided some guidance defining seditious words as “words expressive of a seditious intent” and a seditious conspiracy as “an agreement between two or more persons to carry into execution a seditious intention.” But, what constituted a seditious intention? A.J. Andrews, the principal prosecutor for the Crown, argued that Russell and the others were not on trial for what they said, or for what they intended, but for what would would be the natural result of their words and actions. Such a definition was designed to limit the legality of criticism of the state to a minimum. Accordingly, how the state chose to define these terms was was at the heart of postwar citizenship and a political matter of the first order for it bore directly on the juridical nature of Canadian citizenship and the relationship between the governed and the government. These were, in short, state trials—political trials. Finally a few comments concerning the assessment of the historical importance of the strike (and by implication the historical significance of the figures considered in Profiles) advanced in this book. The Gutkins locate the strike as a historical benchmark, as a fundamental moment in the evolution of the modern political system and the Canadian state. The strike, they argue, was a “landmark event in the development of Canada’s political party structure, ....” While they demonstrate how the strike galvanized political commitments among workers and contributed to renewed labour political initiatives in municipal, provincial and federal politics in Manitoba, the thesis that the strike triggered a fundamental discontinuity between the language, epistemology, and organization of pre-war political life in Canada and its post-1919 variant is simply not sustained. Similarly, the suggestion that 1919 provided the “wellspring of social legislation” is left unsubstantiated. Only the most tenuous relationship could be drawn between the 1919 labour revolt and the later emergence of the Canadian welfare state in the years after World war II. Indeed, rather than mark progress in the evolution of a social citizenship, 1919 ushered in a juridical citizenship constrained by Section 98 of the Criminal Code, and revisions to the Immigration Act employed in 1919 and later to intimidate or deport suspected radicals or those who fell victim to municipal relief. 1919 also marked the rise of Canada’s leviathan of state security under the control of a the newly minted Royal Canadian Mounted Police. Of course, the protagonists of progress celebrated in Profiles of Dissent did not cause this flurry of state repression, nor did they leave a legacy of social amelioration: the meaning of 1919 simply cannot be rendered in such simple linear formulations. Notwithstanding this and the other criticisms advanced above, this reviewer recommends Profiles in Dissent as a solid addition to the literature on the Winnipeg General Strike and the history of radicalism in western Canada. 1. H. C. Pentland, “Fifty Years After,” Canadian Dimension, Volume 6, Number 2, July 1969, p. 14.